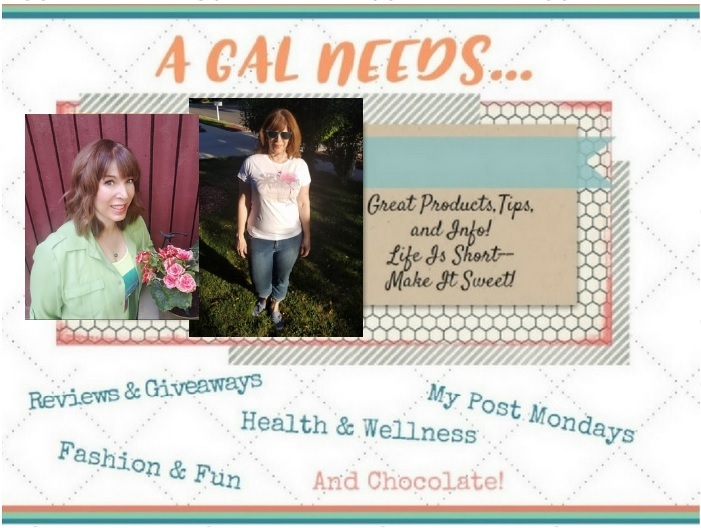 A GAL NEEDS...: Breeze Comfort Sports Bra Giveaway! Breeze Comfort Sports Bra Giveaway! Two sets of exchangeable, perforated bra pads: a softer set for everyday wear and lower impact activities such as yoga and Pilates and a firmer set to provide more support for medium/high impact activities. Mesh lining for breathability in high sweat area. Adjustable straps for better fit. Supple, smooth moisture wicking fabric. To WIN this contest and get a Breeze Comfort Sports Bra of your choice, please complete the mandy (mandatory entry) and any others that you care to in order to increase your odds of winning! Thanks in advance. The winner will be notified by e-mail (so please provide me with that) and asked to provide their shipping information! Breeze Comfort will then ship your choice of Sport Bra to you! +2 Look at my Breeze Comfort Review and tell me something about it. What did you learn, what would you have liked in it that wasn't, too long, too short, etc. +3 Grab my button and put it on your blog's main page! +2 Follow Breeze Comfort on Twitter here! +2 Friend Breeze Comfort on Facebook and post on their wall that I sent you and what you learned about Breeze Comfort! Ex: "I am here from AGalNeeds...! I learned that (tell them something you learned!)" +3 Friend me on Facebook! +2 Be my follower on Google Friend Connect! +2 Enter any of my other Giveaways! Tell me which ones! +5 Blog this and leave a link to this post AND to Breeze Comfort! Tell me where you did by leaving the link to your post! Thanks in advance to YOU for participating in this giveaway and thanks to Comfort Breeze for this opportunity to provide one of my readers a chance to win! This giveaway will close on 5/27/10 at 11:59 pm MST! I was provided with a product to review and give my own opinion, which I did! All winners are chosen with Random.org. I will choose an alternate winner if giveaway qualifications are not met! Now that I've started running, I could use a good sport bra. My choice would be the Sports Bra Pink/Black Mountain View. (1) one thing I learned was that these bras have adjustable straps. Too many bras these days don't, and being a short person, it's a MUST for me! (1) I have your button on my That's Fabulous blog main page. (2) I have your button on my That's Fabulous blog main page. (3) I have your button on my That's Fabulous blog main page. I like the Sports Bra Pink/Black Diva. Review: I took a look at your review and I think it is a great length! I like that you put in the statement about ordering a size smaller. This is really useful information and insight that is needed in reviews. I read your review and I like that you explained the whole size thing because when I looked at the site that caught my attention too. p.s. your hometown is Stockton? I grew up in Manteca! I'd like the Sports Bra Burgundy/Black Yin Yang. I like the Sports Bra Burgundy/Black Mountain View. Including the available sizes would make the review more complete. But the length was great! I like the silver/black Mountain View! I'd choose the Silver/Black Peekaboo style. I think I would choose the Burgundy and Black Mountain View Sports Bra! I would choose the Sports Bra Silver/Black Yin Yang. Breeze Comfort's patented process lets heat and moisture out but allows air and circulation in. I follow Breeze Comfort on Twitter. I Follow, Breeze Comfort on Facebook and commented. i'm in the process of couch25k and still need plus size bras- glad they include those! LOVE the Sports Bra Burgundy/Black Yin Yang. I like Sports Bra Burgundy/Black Mountain View. I love how your review is straight to the point. Great job! I would get the sports bra in pink/black diva! I'd pick the Mountain Veiw sports bra in pink! I love the pink and black diva sports bra! I like the pink/black diva sports bra. I love love love the Sports Bra Pink/Black Diva!! I just started running after 13 years of smoking! I've been smoke free for 2 weeks now and feel great!! This bra would be an awesome addition to my new lifestyle! !